Vampirella is a fictional character, a comic book vampire superheroine created by Forrest J Ackerman and costume designer Trina Robbins in Warren Publishing's black-and-white horror comics magazine Vampirella #1 (Sept. 1969). Writer-editor Archie Goodwin later developed the character from horror-story hostess, in which capacity she remained through issue #8 (Nov. 1970), to a horror-drama leading character. Vampirella was ranked 35th in Comics Buyer's Guide's "100 Sexiest Women in Comics" list. Vampirella initially appeared in Warren Publishing's black-and-white horror-comics magazine Vampirella #1 (Sept. 1969), running to issue #112 (March 1983). The title was a sister magazine of Warren's horror anthologies Creepy and Eerie. Like those magazines' respective mascots, Uncle Creepy and Cousin Eerie, Vampirella hosted horror stories, though unlike them, she would also star in her own story, which would headline each issue. 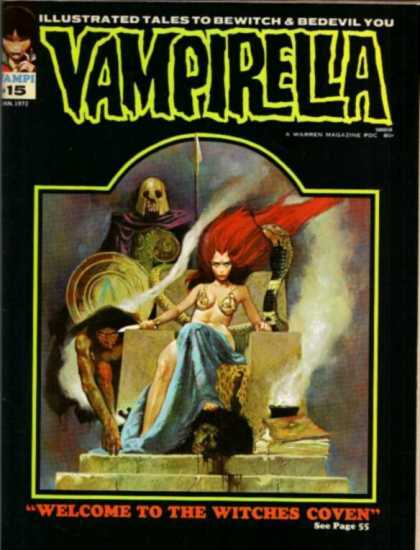 Vampirella was initially edited by Bill Parente. It would later be edited by Archie Goodwin (issues #7-12, 34-5), Billy Graham (#13-16), Bill DuBay (#21-50, 87-95, 101-102) and Louise Jones (#51-86). 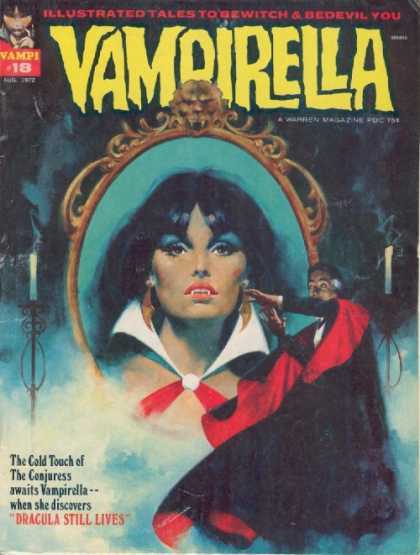 As comics historian Richard J. Arndt describes, "Forrest Ackerman created, or at least had a strong hand in creating, Vampirella and he clearly had a major influence in shaping the lighthearted bad-girl story style of this issue as well." Her costume and hair style were designed by comics artist Trina Robbins. The character's first story artist was Tom Sutton. 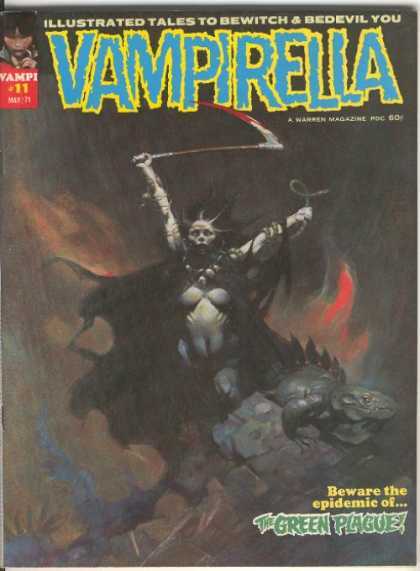 Artist Frank Frazetta's first-issue cover "was a substitute for the original cover by European artist Aslan." Jos� Gonz�lez became the character's primary artist starting with issue #12. 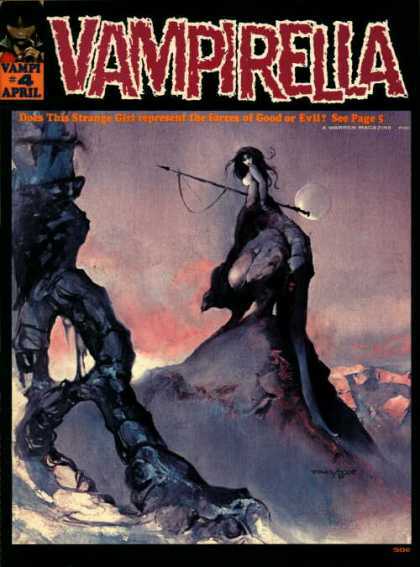 Other artists who would draw Vampirella during her magazine's original run included Gonzalo Mayo, Leopold Sanchez, Esteban Maroto, Jos� Ortiz, Escolano, Rudy Nebres, Ramon Torrents, Pablo Marcos, Jim Janes, John Lakey, Val Lakey, and Louis Small, Jr.. Backup features appearing in Vampirella included "Tomb of the Gods", "Pantha" and "Fleur". 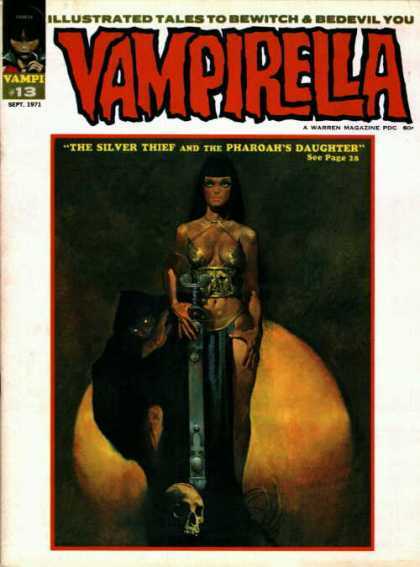 Vampirella herself also appeared in a story with fellow Warren characters Pantha and the Rook in Eerie #94-95, and with most of the Warren characters in a company crossover special in Eerie #130. 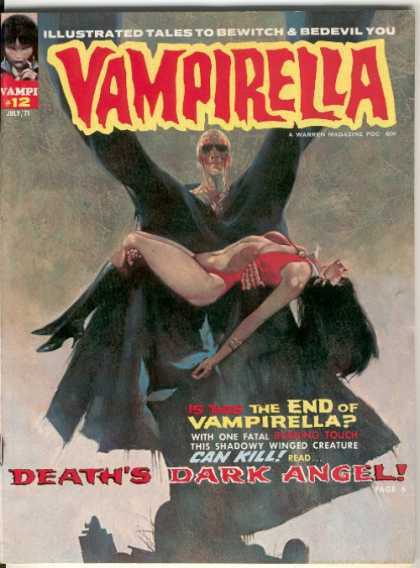 The final issue of the original Vampirella was cover-dated March 1983. Upon Warren's bankruptcy shortly afterward, Harris Publications acquired the company assets at auction in August 1983, although legal murkiness and a 1999 lawsuit by Warren publisher James Warren resulted in his reacquisition of the rights to sister publications Creepy and Eerie. 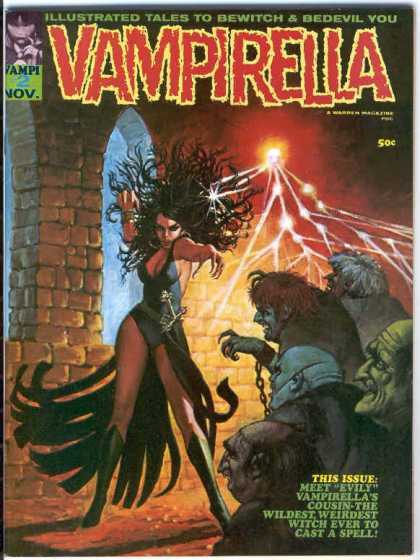 Harris Comics published Vampirella stories in various series and miniseries from 1991 to 2007. Harris also published Vampirella #113, a one-issue continuation of the original series, containing solely reprinted stories, in 1988. At the Fangoria Weekend of Horrors convention in January 2007, Scott Licina, editor-in-chief of Fangoria Comics, announced his company had acquired the character from Harris. However, on April 30, 2007, Harris editor Bon Alimagno denied there had been such an arrangement in place and that Fangoria's claim was "not factual". 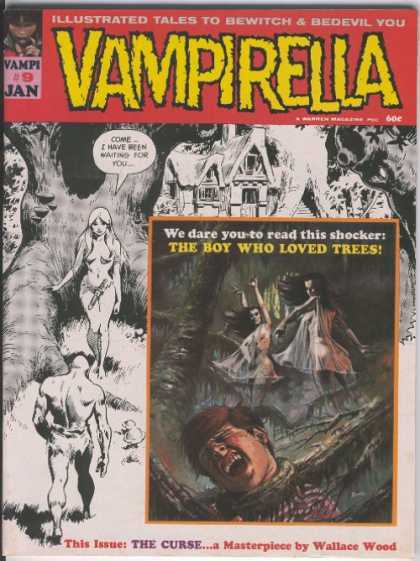 Harris subsequently launched the title Vampirella Quarterly.